"You see this place on the image? 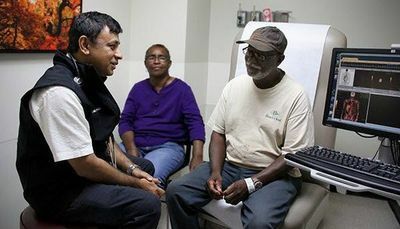 That's where your kidney was," says VCU Massey Cancer Center medical oncologist Asit Paul, MD, PhD, to 69-year-old Thomas Bland. "And the tumors we saw in your lung and other places still have not returned. I'm happy to say you've been disease-free for more than two-and-a-half years." Bland and his wife, Ethel, smiled at the good news, which is quite extraordinary considering he had stage 4 sarcomatoid kidney cancer. His case is so impressive that it was recently published in the American Society of Clinical Oncology's Journal of Oncology Practice. Bland was completely unaware of the tumor in his left kidney when he was diagnosed. "The only thing I remember was driving to work, and then waking up in the hospital," says Bland, who endured substantial trauma and was medevacked to VCU Medical Center after another driver struck his vehicle. "They did a CT scan to assess the damage, and that's when they found the tumor." After recovering from extensive injuries caused by the car accident, Bland had his left kidney and adrenal gland removed. The tissue from his removed kidney showed a rare but aggressive form of kidney cancer known as sarcomatoid kidney cancer. Sarcomatoid kidney cancer occurs in only five percent of all kidney cancer cases. Most kidney cancer patients survive less than a year because of quick cancer spread and poor response to standard treatment, which may involve a combination of targeted therapy and chemotherapy. Because of his limited kidney function after the surgery, Bland could not be monitored with conventional computed tomography (CT) scans because contrast agents used in CT scans could further damage the kidney. Instead, his doctors switched to a hybrid form of positron emission tomography (PET)-CT scans. "PET scans are not typically used to monitor kidney cancer due to their low sensitivity. But sarcomatoid tumors are typically high grade, so they are more likely to take up the radioactive imaging agent used in PET scans," says Paul. Three months after surgery, the scan showed that his cancer had returned in the area where his left kidney used to be and had also spread to his right lung and right hip bone. Paul tried the standard approach for kidney cancer. But after four months of treatment, Bland's cancer continued to spread with new spots in his right adrenal gland and bones. He also developed several new nodules in his scalp. Paul decided to try nivolumab, which is part of a new class of immunotherapy agents known as checkpoint inhibitors. Nivolumab, also known as Opdivo, was approved in the US in 2015 for the treatment of advanced kidney cancer that does not respond to conventional therapy, based on the results of the CheckMate 025 clinical trial. As a checkpoint inhibitor, nivolumab blocks specific proteins that prevent the immune system from attacking cancer cells. "The CheckMate 025 trial tested nivulomab in patients with cthe most ommon type of kidney cancer. There were no sarcomatoid kidney cancer patients in the trial, so there's no data supporting the use of nivolumab in patients like Mr. Bland," says Paul. 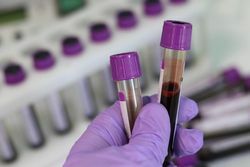 "But we decided to try nivolumab, because experimental research has shown that sarcomatoid kidney cancers express high levels of proteins that are targets of checkpoint inhibitors." Bland began receiving nivolumab intravenously every two weeks. Within a month, palpable tumors on his scalp began to disappear, and six months later, a scan showed no spots of cancer anywhere in his body. "I didn't even have any side effects, at least nothing like I experienced with chemo," says Bland. 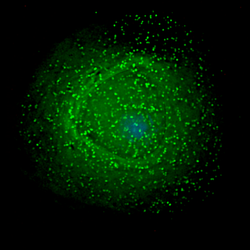 The testing for proteins that are targets of nivolumab and other checkpoint inhibitors was not routinely available at the time of Bland's treatment. His tumor was later tested and the results were negative for the target protein. "Mr. Bland's case shows the effectiveness of nivolumab in sarcomatoid kidney cancer," says Paul. "The CheckMate 025 trial showed benefits of nivolumab in kidney cancer patients irrespective of target protein expression. We do not know at this time whether this is true for sarcomatoid kidney cancer." Researchers are now recruiting patients with sarcomatoid kidney cancer in clinical trials with checkpoint inhibitors. 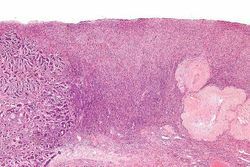 These trials are expected to show in which group of patients nivolumab and other checkpoint inhibitors are effective against this aggressive subtype of cancer in order to help establish better treatment guidelines. Bland received nivolumab for a total of two years and is currently off treatment. He is now returning for regular follow-up appointments. "What's more, we now have evidence that PET-CT imaging can successfully monitor disease progression and assess treatment response in sarcomatoid kidney cancer patients," says Paul. "I really want to thank Dr. Paul, nurse practitioner Gwen Parker, my other nurses, and the rest of the staff at Massey Cancer Center. They saved my life and treated us really well," says Bland. "I'm just looking forward to a more normal life and putting this all behind me." Bland's case report in the Journal of Oncology Practice can be viewed here.